Digital surveillance is transforming our relationship with wildlife. Halfway across the world, a goat is shivering. You know this because you've hooked her up to an accelerometer, which can measure tiny changes in her body movements. You also know the goat's heart rate, body temperature, how much energy she's using, when she's looking up or down and where exactly in her habitat she is at all times through high tech monitors. You have information about her immediate environment, things like temperature, humidity and altitude. With cameras, you can see the world from her vantage point. With acoustic sensors, you can hear her drink, feed and call to her goat kin. All these intimate details open an entirely new realm of possibility for understanding the animal world. You will learn about the goat's biology, how she uses her environment and how she interacts with predators. You can establish protected areas based on where she goes and instill conservation values in people by allowing them to follow her through a mobile app. You may even model how the goat, along with sheep, cows and dogs, collectively anticipate natural disasters -- how they tremble and move to safer ground -- and sell this information to insurance companies. These are some promises of modern wildlife tracking, which uses radio collars, drones, remote sensing, networks of cameras and audio recorders, health sensors and other digital technologies to gather intelligence on animals, from petite songbirds to looming blue whales. Tens of thousands of wild animals are already equipped with GPS trackers and other devices across every continent, with new creatures joining their ranks every day. There are those who feel fervently optimistic about the prospects of animal surveillance. "We are standing on the threshold of a new era of interaction with and awareness of nature," Alexander Pschera wrote in his 2016 book Animal Internet. The book's name is a term coined by Pschera, a German writer and consultant for digital innovation, to refer to the collective, intelligent sensory network of animals and the ways in which humans are now tapping into that network with technology. Others are more skeptical. "All life at this point is in a kind of surveillance state," said Thalia Field, a professor of literary arts at Brown University and the author of the 2016 novel Experimental Animals. "I think something crucial is destroyed there." From the earliest days of digitally surveilling animals, there's been a philosophical schism, said Etienne Benson, a historian of science at the University of Pennsylvania and the author of Wired Wilderness. While some see such endeavors as "a symbol of hope," he told me, others see "a symbol of humanity bringing to the project of conserving nature the exact same control, and dominating urges, that they brought to the project of destroying nature." Animal tracking stretches far back in human history. Footprints fossilized in mud tell a story of primitive humans stalking and encircling giant ground sloths more than 10,000 years ago. Today, indigenous and hunter-gatherer communities, such as the Warlpiri peoples in Australia and the Ju/'hoansi in Namibia, keep tabs on local wildlife using age-old methods. Systematically tracking animals became popular in Western science at the start of the 20th century, with ornithologists fastening bands around birds' ankles to distinguish them from one another. The invention of the transistor in the late 1940s paved the way for radio telemetry, which tracks radio signals beamed from transmitters affixed to roaming animals. Much early work in the field, conducted in the decades following World War II, was funded by military and atomic agencies within the United States government and centered on practical applications, like monitoring game animals and agricultural pests. At the time, some were already growing concerned about how tracking technologies might reinforce a power imbalance between humans and wildlife. In his book, Benson quotes a 1967 column in The New York Times. Its author writes, "I'm waiting for the day the porpoises capture a scientist, put ear tags in him, hang a transmitter around his neck and send him back from where he came." "I'm waiting for the day the porpoises capture a scientist, put ear tags in him, hang a transmitter around his neck and send him back from where he came." On the other hand, an advocate for the new technologies wrote in a 1967 letter to the Massachusetts Audubon Society, "If a few bears had to suffer the indignity of wearing a collar with a small radio attached so that the entire species could be saved, then this is a small price to pay indeed." By the 1970s, wildlife tracking had shifted its focus from making human life easier to safeguarding endangered species and biodiversity. 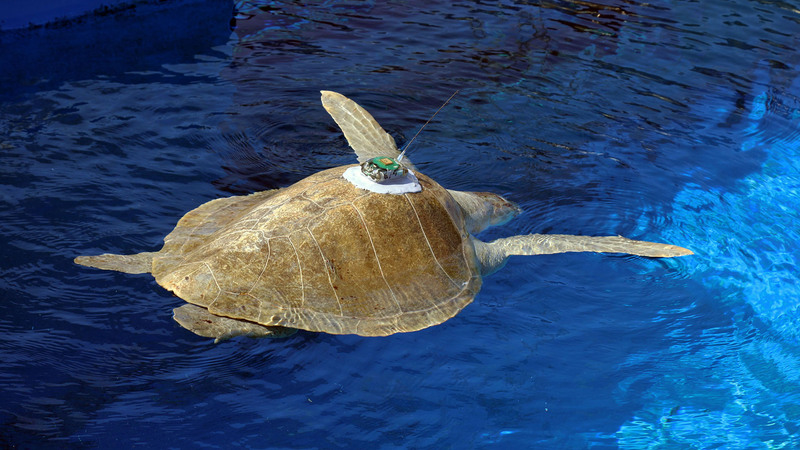 The introduction of satellite and GPS tags in the late '80s and early '90s boosted the power and reach of these studies, allowing researchers to remotely collect more data than ever before. The breadth of digital animal research today is huge. Researchers glue tiny barcodes on ants to demystify what life is like within colonies. They receive text messages when great white sharks approach beaches or when elephants move in patterns that suggest poachers are near. Using tagged whales as environmental sensors, they have even mapped the depths of the icy Arctic Ocean. One of the biggest names in modern wildlife tracking is Martin Wikelski, the director of the Max Planck Institute for Ornithology in Radolfzell, Germany. When we spoke by phone, he was flying on a jet from Stuttgart to Konstanz in southern Germany, testing video- and radio-tracking equipment for birds and bats. Over the roar of the plane's engine he told me that he was gearing up for the experimental phase of ICARUS, short for International Cooperation for Animal Research Using Space. Funded by both the German and Russian space agencies, ICARUS is an ambitious effort to track wildlife from the far corners and depths of the globe via a centralized computer system located aboard the International Space Station. Around 150 research teams are already waiting to use ICARUS after it goes live this August, and Wikelski expects several thousand projects will use the system by 2028 to monitor hundreds of thousands of animals. When the project launches, it will follow giraffes, turtles, birds, fish and all other manners of critters tagged with a GPS device, 3D accelerometer, magnetometer and sensors measuring temperature, humidity, pressure and altitude. The solar-powered tags, which can collect data around the clock for potentially years on end, currently weigh as little as 3.5 grams. Soon they will be even smaller, capable of monitoring tiny birds and even large insects. When the ISS flies overhead at least once per day, transmitters will shoot the data in condensed packets up to space, where it will be cleaned and sent back to a central online database called Movebank. As an open-source, global resource, Movebank already hosts data from thousands of scientists tracking animals through various means, including bird banding, radio telemetry and GPS. The database is an embodiment of a new type of science called movement ecology, which centers on movement as a unifying framework among animals. As Wikelski phrases it on his website, this science seeks to study how "living animals move across the globe, how they survive their perilous journey through time and space and how and why they die." Researchers and members of the public alike can visit Movebank and trace how dots representing coyotes, bears, seals and more dance around the world. 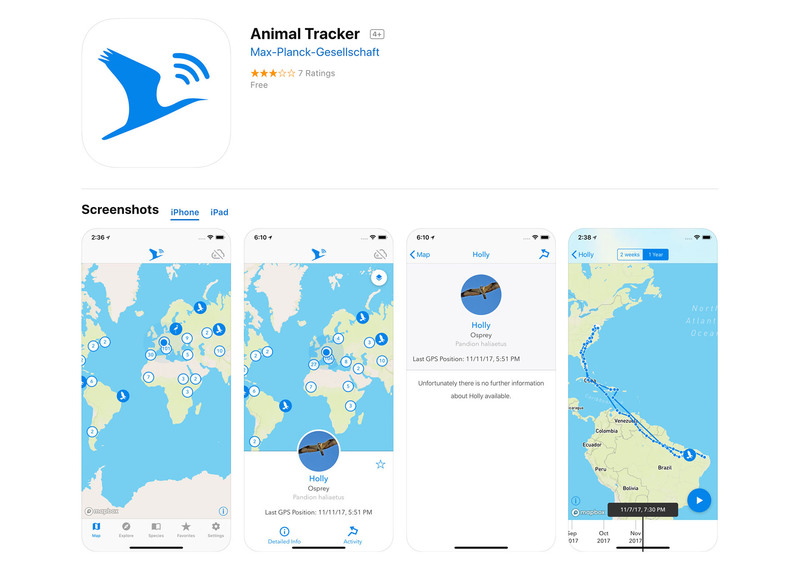 An accompanying phone app called Animal Tracker aggregates data for more than 20 species of birds, with other animals coming soon. The northern bald ibis, or waldrapp, is perhaps an unlikely favorite among Animal Tracker users. With a vulture-like body cloaked in slick black feathers, it has a naked, red face framed with a spiky, bedhead do. Peering through beady eyes over a long, hooked beak, the waldrapp was once widespread across the Middle East, northern Africa and Europe but is now critically endangered. In 2004, an Austrian biologist named Johannes Fritz reintroduced the waldrapp to Europe. He adopted several chicks from captivity, released them into the wild and started teaching them how to migrate in an aircraft. Today, some 90 birds soar over the continent wearing transmitters that allow researchers and fans to track how well the birds have learned their migration routes. Last fall, a woman in Austria was following along with the birds' progress and managed to save a juvenile waldrapp named Waldemar that got separated from his flock while flying over the Alps. Hundreds of other people living along the waldrapps' heavily hunted migration corridor keep an eye out for the birds, communicating with one another through WhatsApp. A tagged waldrapp also captured the affections of Pschera, who years ago started following one named Shorty on the Facebook page for Fritz's project. Pschera quickly formed an emotional bond to Shorty; when Shorty flew over the Alps, he felt like he was there too, peering over the bird's shoulder. When Shorty got lost in Switzerland one winter, Pschera waited anxiously to see if the waldrapp would find her way back to her flock (she did). Pschera believes these sorts of exchanges can transform the relationship between humans and wildlife. "You have to start with concrete details -- with the daily business of individual animals," he said. It's about getting people into the head of the animal, so they can identify with and feel empathy for it. Rather than being the antithesis of nature, Pschera told me, technology may be "the missing link" that reestablishes our connection to the animal kingdom. With so much of the animal world still an enigma to us, it's easy to appreciate the benefits of newfangled technologies. "We currently know little more than one percent of the way animals live in the wild. That is to say, little more than nothing at all," Pschera wrote in Animal Internet. Taylor Chapple, a shark expert and research scientist at Stanford University's Hopkins Marine Station, described earlier research on marine animals as such: "Imagine I were randomly running into you for 10 seconds at a time, not having any context of the things around you, and trying to describe your life based on that." Digital tech has been "a complete game changer" for his field, Chapple said. "Every year it's like we go up an order of magnitude in what we can learn about these animals." People once believed, for instance, that great white sharks near California stayed close to the coast at all times. But in the early 2000s, satellite tags showed that some sharks actually spend several months of the year at an offshore destination between California and Hawaii, now dubbed the White Shark Café. Conservationists are now trying to get the Café designated as a world heritage site. Thanks to surveillance technology, we know it is "no longer sufficient to just protect white sharks in California waters," Chapple said. There are plenty of other examples of Movebank data being used to create reserves and protected areas. It's also been used to see how animals might be affected by wind farms, electric lines and other facets of human development. Wikelski believes this data can help make wildlife conservation more targeted and dynamic. Depending on migration times, for instance, people can close beaches, stop windmills or turn off tower lights for just a few days, then resume business as usual. Because of digital tracking, scientists have also learned that baboons are more collective in their decision-making than previously thought, that birds often make huge individual deviations from traditional migration routes and that carpenter ants change jobs in their colonies as they age. In short, they are appreciating that animals are far more complex than we previously believed. But here, as with all scientific endeavors, one has to ask: What is the cost of all this discovery? Who are the winners? Who are the losers? For starters, there is the danger that animals will be reduced to collections of data points in the modern psyche. That can lead to abstraction, since it's easier to ignore a data point than it is a living creature that wriggles and breathes. It may also pave the way for picking and choosing the data points we favor and ignoring the rest. Both Wikelski and Pschera couch much of the value of animal tracking in people-centered, instrumentalist terms. Wikelski often emphasizes that his work may help reveal how animals spread human pathogens or preempt natural catastrophes. He believes that the swarm intelligence of animals is "far superior to any technological system humans will build." "We will see business coming out of animal big data," Pschera told me, mentioning that insurance companies are already interested in how elephants and sea snakes might predict tsunamis in Thailand, how rats might foretell earthquakes in San Francisco and how goats might anticipate volcanic eruptions in Italy. There is an impetus in ecology to assign monetary value to nature, which can be helpful when speaking to policymakers who often understand things through a financial lens. But it also "has very real consequences," said Audrey Verma, a research associate in sociology at Newcastle University in the UK, "because it turns the wildlife we're trying to save into an abstract commodity." In 2016, Verma co-authored a paper drawing a link between animal surveillance and imperialism through three devices: the "census, map and museum." These were theorized by the late political scientist Benedict Anderson to be important tools that colonizers use to construct the national identities of the people they colonize. The census tallies people within imposed categories. The map delineates boundaries of control. The museum takes stock of what the colonizer has and creates narrative through assembled artifacts and visuals. Wildlife-monitoring technologies help create animal censuses, maps and museums, which conservationists can use to engage the broader public, Verma said. In the same breath, she warned of a more philosophical danger: That relating to animals in this way will minimize their intrinsic value, reduce them to "numbers, map points and curated narratives" and open the door to "new forms of calculated dominance over wildlife." With more metrics at their disposal, for example, scientists might be able to more accurately figure out the minimum viable population sizes of various species. They might then make decisions about which to conserve and which to cull or let go extinct. They might have more power, in other words, to "make live and let die," Verma said. There are stakes beyond people-animal relationships too. It's important to ask which parts of society will benefit from wildlife-tracking technologies and which will be left out or harmed, said Koen Arts, an assistant professor of forest- and nature-conservation policy at Wageningen University in the Netherlands. Those harmed might include already marginalized people who are elderly, poor, indigenous and living in remote or rural areas, he said. Such dynamics can be violent. Conservation in much of the Global South, for instance, is fraught with brutality and a legacy of imperialism. Efforts to protect forests in Kenya have led to the forced eviction of thousands of indigenous peoples from their ancestral homes, and scholars refer to an escalating arms race between conservationists and poachers as green militarization. This has led to an increasing acceptance in some wildlife protection circles that people will die in the name of conservation, wrote Rosaleen Duffy, a political scientist at the University of Sheffield in the UK, in a 2017 editorial in the Green European Journal. "Poachers are presented as the allowable and acceptable casualties of a war for biodiversity," she wrote. "It plays into a much longer history of colonialism -- and feeds the idea that wildlife simply matters more than African lives." One has to consider the introduction of drones, surveillance cameras and other conservation tech in sociopolitical context, said Chris Sandbrook, a senior lecturer in geography at the University of Cambridge. When conservation organizations with vehicles, weapons and money are up against villages with fewer resources, he said, they have "a kind of moral responsibility to act sensibly and ethically." Technology potentially alters the relationship between conservationists and locals. Rangers walking the boundary of a national park might have frequent face-to-face interactions with nearby residents, offering people rides from time to time and picking up on community issues. Those informal relationships might be lost when patrolling and surveillance become automated, Sandbrook said. At the same time, technology expands the capacity of law enforcement, likely inflaming local conflicts. Infrared cameras that detect body heat from afar already help rangers make arrests, and organizations hope to soon deploy drone software that will ping authorities when there is a high likelihood that poaching is taking place. "The future of conservation depends on having positive relationships with people on the ground." 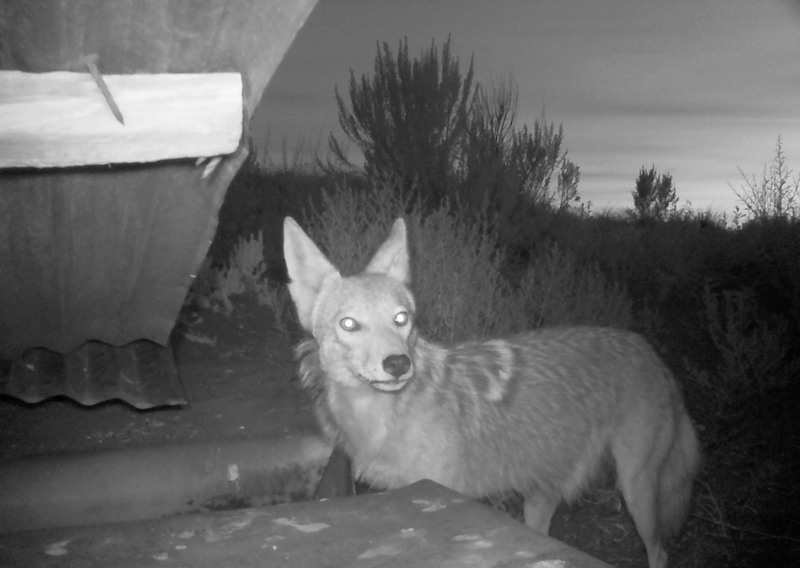 Even when ecology and conservation researchers aren't trying to survey people, the motion- or heat-sensored cameras they deploy often capture people doing illegal things or being in places they're not supposed to be in, Sandbrook has found in his research. A project might start out as "we're doing a survey of cheetahs, with nothing to do with people," he said. 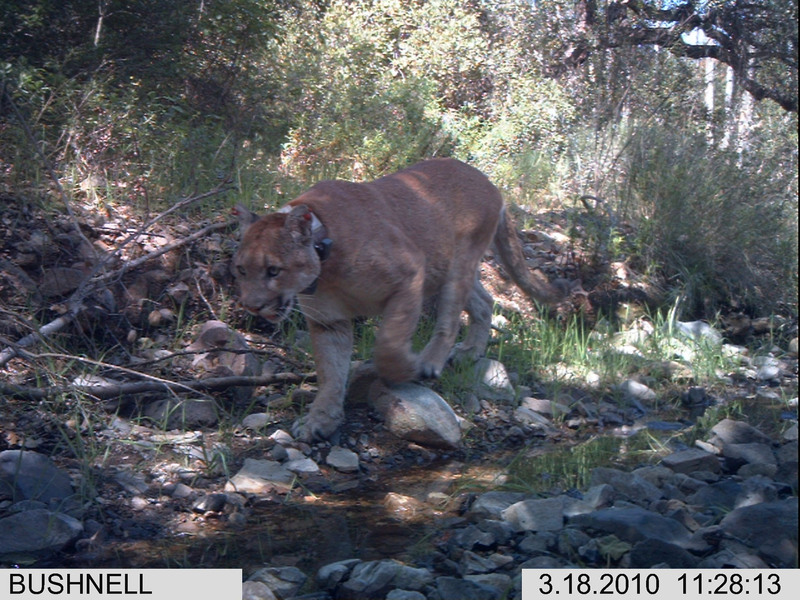 But "effectively what you're setting up is a giant surveillance regime, with camera traps everywhere." Both Sandbrook and Arts emphasized to me that they are not unilaterally opposed to tech. Arts quoted a famous line from Melvin Kranzberg, a late historian of technology: "Technology is neither good nor bad; nor is it neutral." Sandbrook stressed that it's about anticipating and trying to eliminate harmful power dynamics. "The future of conservation depends on having positive relationships with people on the ground," he told me. "If they end up annoyed, marginalized or cut out of the loop because of the way technologies are being deployed, these approaches ultimately might backfire." Alongside the development of new animal surveillance technologies, the fabric of wildlife science has changed. Increasingly, researchers spend less time directly observing and interacting with animals in the field and more time analyzing data on computers, or "producing knowledge at a distance," as Benson put it. Kristoffer Whitney, a sociologist of science at Rochester Institute of Technology, has reflected on the complex relationship between bird researchers and their subjects. Netting and placing a leg band on a bird is a necessarily violent act. At the same time, the act of cupping a creature in one's hands creates "a stronger sense of empathy and attachment," which can motivate researchers to minimize harm and produce work that ultimately gives back to wildlife, he said. Cristina Eisenberg, chief scientist at the Earthwatch Institute and a wildlife biologist, has grappled with the same dynamics. Her own work involves both digital and traditional ways of tracking wildlife. The process of fitting an animal with a radio collar is "not pretty," Eisenberg acknowledged. With elks, one of her study subjects, about 10 percent die in the struggle, she said. Some years ago, Eisenberg did a direct comparison between two million dollars' worth of state-of-the-art radio collars and a traditional, noninvasive method for tracking elk in Alberta, Canada and Montana. The latter involved pulling a tape across the ground and counting elk feces on both sides, moving the tape the way an animal travels through the landscape. Conducting these so-called transects costs about $15,000, Eisenberg estimated. Furthermore, Eisenberg believes the process of immersing oneself in an animal's environment is irreplaceable. "If you're a scientist studying the interaction between animals, their habitats and their predators, which is what my work was looking at, you're not going to really understand it internally by having all the data delivered to your computer," she said. "At a certain point you get so much data that you can't know those animals in the same way," Whitney said. "I think it does matter for the science, for conservation, for actually caring about these animals." There are certainly unique advantages to using technology, particularly for harder-to-access environments like the ocean, Eisenberg said. But "a wise scientist will exercise some discretion and not just go for the technology every time," she said. "That's the most ethical thing to do, because when it comes to working with animals, all of that technology -- even the drones -- stresses them out." There are many other trade-offs in how new tracking technologies might mediate human-animal relationships. While social media might help someone like Pschera form a new, lifelong bond with a waldrapp or another creature, memes and cat videos anthropomorphize or reduce animals, sometimes cruelly, to absurd sources of entertainment. While a real-time tracking platform can help make conservation efforts more precise, it can also lead to more-targeted poaching or intensified tourism. When wildlife encounters are limited to a digital screen, there is also a risk of abstracting the animals. Say you're interacting with a brilliantly rendered tiger through a game-like app, Sandbrook proposed. From there, it's not illogical to ask: Why be limited by what evolution has given us? Why not have a tiger with tusks or a rhinoceros with wings? "Once you move into that realm, real wildlife might even appear slightly boring," he said. Often, digital engagement with animals also gets entangled in human narratives. Look no further than your typical Attenborough documentary, featuring a heartwarming snapshot of resilient motherhood or a cheeky courtship between a desperate male and choosy female, with careful edits validating tropes we have in our own societies. The death of Cecil the lion received such attention in part because his killer was a wealthy, white American man: a legible villain to many. Similarly, the killing of Harambe the gorilla became quickly wrapped up in political arguments over zoos, racism and the valuing of animal versus human lives. In my reporting, I heard about a stay-at-home mom who became obsessed with watching birds on a nest cam. She'd prop her tablet up with the livestream on-screen while cooking meals and sometimes awaken multiple times in one night to check on eggs due for hatching. I wondered if she saw something reflected back at her in these digital feeds. Did she read a type of parallel existence in the mother birds, something that perhaps made her feel less alone? Take a close look at the online communities that often arise around webcams and you'll see they often "become a kind of background to a social process," Arts told me. Online fans start piecing together narratives for the animals, then transition to talking about their own children, problems and other facets of their lives. "To what extent is it really about the animals?'" Arts asked. On the other hand, platforms that ask people to go outside and actually engage with nature seem to deepen ties with wildlife, Eisenberg suggested. An example is iNaturalist, a social network of people sharing sightings and recordings of organisms through a mobile app. Users of iNaturalist have discovered new species and are helping scientists understand how animals' lives are shifting with climate change. There's a sense, through these platforms, of returning to the way natural history was initially conducted, by people not trained in formal scientific institutions but rather deeply knowledgeable from firsthand experience in nature. For instance, Peter Kahn, a psychology professor who researches human interactions with nature and technology at the University of Washington, believes in the power of looking into a bear's eyes. That chill-inducing, humbling moment when you witness the bear's consciousness -- when you know the bear is seeing you -- might last for just a second, he said, "but the connection will last a lifetime." Humans evolved with these moments. "Interaction with nature is deep within the architecture of our bodies, minds and spirits," Kahn said. He believes we are wired with a so-called biophilia that compels us to connect with other forms of life. Over the past 15 years, Kahn has looked at the psychological effects of technologically mediated versus direct encounters with nature. A typical experiment of his might involve three conditions: one in which people are able to gaze at a nature scene through an office window, one in which they can watch a live feed of the same scene on a digital display and another in which they see no nature at all. He could then monitor indicators of well-being, like heart rate recovery after being stressed. The recurring finding from Kahn's research is that technologically mediated interactions with nature, when compared to nothing, look pretty good in terms of how they enhance people's psychological well-being, cognitive functioning and feelings of connection to the natural world. When compared to interactions with actual nature, they're not so good. His concern is that society's standards will lower over time. "As we continue to destroy more and more nature, the benchmark that we're comparing technological forms to get increasingly impoverished, until you're comparing them to practically nothing," he said. The more drawn we become to technologically filtered interactions with nature, he fears, the more we will lose touch with wild forms of communing with nature, the eye-contact-with-a-bear experiences that molded us, so to speak. There are tangible outcomes from distancing ourselves from wildness. Researchers comparing how urban, middle-class, white children in the United States and how Maya children in Mexico think about wildlife have found that the former are much more likely to view the world anthropocentrically, or as revolving around humans. While city-dwelling American children typically started to situate humans among other animals between seven and 10 years of age, Maya children had already adopted that framework by age four or five, or possibly earlier (work on younger children is limited because they need to be able to communicate their thoughts with the researchers). The former also tended to categorize animals based on outward appearance while the latter intuitively grouped creatures by ecological relationships, demonstrating a deeper understanding of nature's connectivity. As we hurtle toward the earth's sixth mass extinction, people have started developing varying ideas about how to reestablish a sort of equilibrium with wildlife. E.O. Wilson, a biologist and naturalist based at Harvard, has proposed that we set aside half of the earth's surface and allow it to return to a wild state, separate from humans. Kahn, meanwhile, has thought a lot about how to integrate wild ecosystems into cities through urban planning. He has worked also with Fiddleheads Forest School, a nature preschool in Seattle that operates entirely outdoors, in the vast Washington Park Arboretum at the University of Washington Botanic Gardens. For kids who attend Fiddleheads, observing owls, beavers, deer and other urban wildlife go about their daily business is a natural fact of life. Kit Harrington, the founding director of the alternative school, recalled stumbling upon two eagles mating up close with a group of students one day. Her mind initially scrambled to explain the scene to her students. Before she could come up with anything, though, "one little boy put his hand on his hip, cocked his head at me and said, 'I think she's going to go lay an egg now.' And I thought, 'That's it,'" she said. Others imagine a future even more intimately entwined with wildlife, down to a molecular level perhaps. Donna Haraway, a feminist theorist and scholar of science and technology, has speculated about how technology might break down interspecies divides and move us into a more just, post-human reality. In her recent science fiction fable "The Camille Story, Children of Compost," Haraway writes of a world in which people can embed attributes of other animals into their bodies and start to grasp the unique sensory experiences of different species. One character, Camille 2, gets a beard of monarch butterfly antennae, entering into symbiosis, or a formal commitment, with the insects. Though Haraway's writings have futuristic trappings, they borrow from ancient ways of thinking. Kim Tallbear, a scholar of native studies, technoscience and the environment, has written and spoken about how indigenous ideas of kinship go far beyond Western notions of family to encompass relationships with animals and plants. Giving power to these definitions of kinship, Tallbear suggests, can transform society. Haraway's and Tallbear's ideas are powerful to me because they get at a crucial, invisible undercurrent to all of this: storytelling. We are all on a train that's speeding toward new destinations of technology and nature. The techno-conservation cat is out of the bag. I don't think we can, or necessarily should, try to change that. When "the world is on fire," Eisenberg said to me, you have to consider all the tools at your disposal. What we can challenge, however, are the philosophical inheritances that birth harmful attitudes toward other life on earth, or the narratives we build "about who humans are, what we should be able to do and how the world works," Field said. One story, she said, dictates that it's our job to watch the universe, even when the watching changes things or brings harm. Put a collar on a wolf and people's philosophical perceptions of the animal shift. When she unknowingly trespasses onto a rancher's property, he will call the scientists that collared the animal and ask them to come get "their wolf." If cameras are placed throughout a rainforest -- if every tree that fell were heard -- is that forest still "wild" in the same way? Aside from the casualties that come with catching, tranquilizing and collaring an animal, research has found that radio-collar stress can actually alter the behavior of some species. There are also instances of webcam watchers demanding intervention when something seems to go wrong, even when that intervention is resource-intensive or disruptive, Verma said. That's not to mention the slippery question of whether animals have a right to privacy or the fact that it is impossible for us to get an organism's consent to being tracked and monitored. These dynamics are "always asymmetrical," Field said. There are other stories, of how it's our job as a species to know and manage, how nature's value is couched in its utility to us, and how the answer is so often more instruments and more data. There's a story that mirrors what's happening in the human world, Benson said, of how we need "thickening webs of communication and surveillance." When Benson started thinking about wildlife tracking around 2005, the gap seemed larger between humans, who got to choose when and where they shared their data, and animals, who just had devices put on them. Today, it feels like we are not so different, Benson told me. Increasingly, people are socially constrained to carry mobile devices that track our whereabouts and monitor our health. We consent to digital platforms' privacy policies without fully understanding what they say. We learn, again and again, that our data is gathered and used in ways we didn't know about. Not everyone takes issue with that. The day I talked with Pschera, Mark Zuckerberg was testifying before a House committee on Facebook's privacy policies. "I'm not at all skeptical about Facebook," Pschera told me when it came up. The story he wants to tell is only a few tweaks away from the story Haraway wants to tell. Both want to dispel the myth that technology necessarily runs counter to biophilia and constructed notions of "pristine" nature. But whereas Haraway's and Tallbear's futures call for a break in narrative, Pschera's is rooted in business as usual, like moving relationships to the internet and harnessing animals in the insurance sector. The problem is that business as usual hasn't always produced the best results. Whitney is not so sure that the internet as is will inevitably strengthen our bonds with wildlife. After all, it has not really made humans more connected, he said. If anything, it has further siloed our interactions. Meanwhile, the idea of exploiting animals as natural-disaster detectors concerns Field. "The moment you're in a super instrumentalist worldview, you lose the war," she said. "Because that narrative doesn't end well. It's a bit like Shakespeare -- the hubris of those characters just ends with everyone dead." What if, in the schism Benson referred to between hope for new solutions and despair over old human dominance, we could shift the element of despair? What if the thing that needs to be addressed is not technology but storytelling? What if we could rewrite the script, Field asked me, that says humans were put on earth to control, reveal and categorize all things? Alice Walker once said, "The animals of the world exist for their own reasons. They were not made for humans any more than Black people were made for white, or women created for men." Maybe this is the gap that needs to be closed. Technology will lead to new Band-Aid solutions, but it will not automatically overthrow deep-rooted systems of cultural thinking, the ones underlying big forces like capitalism and Western science, that make us feel entitled to all of the world's assets and creatures. "There is something a bit irrational in that idea that if only we had a little bit more information, we could somehow solve these problems," Benson told me. Then he pedaled back. "If I push that logic too far, I end up in a place where I'm like, 'We don't need science.' Which I would never say." But he's right. Loading animals with more sensors will yield discoveries at ever finer and more precise scales. Yet the end of the day, we already know the big problems. We know we are carving the world into ever-smaller fragments, destroying the connectivity life needs to thrive. We know we are gobbling up the world's resources and injecting pollutants into the air and water at unsustainable rates. We know we are greedy. "We know more than enough," Benson said, "to know what we need to do." Steph Yin is a Philadelphia-based, multimedia journalist, mostly covering evolution and ecology for the New York Times. As a storyteller, she’s interested in bringing forth the perspectives of those not traditionally heard, and interrogating the role science should play in society. She stans for seahorses, pūkeko and her pittie Louisiana.